Treat Colds, Flu, Candida, Allergies, UTI, Earache, Skin problems and much more. Immune system modulator. Oregano oil has been proven in European studies to be a potent immune modulator. 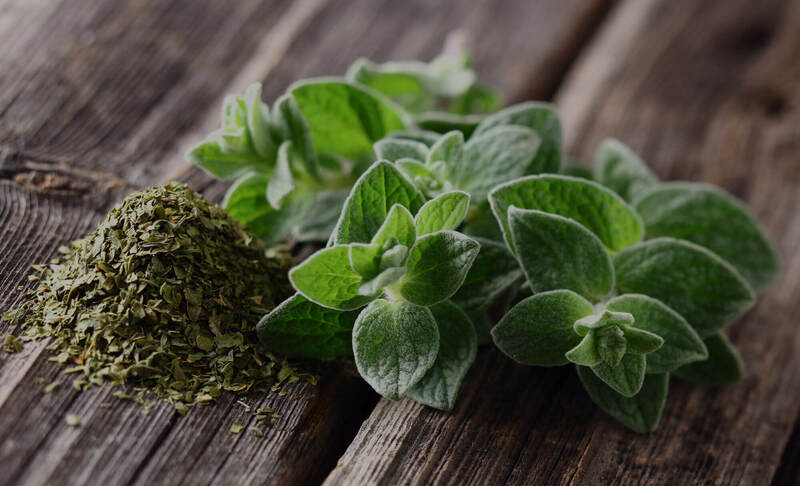 Compared to plants such as echinacea and goldenseal, Wild Oil of Oregano is by far the most effective in enhancing the body’s natural immunity. Use 1-3 drops 2-3x a day to supercharge your immune system and maintain good health. Our Certified Organic wildcrafted Oil of Oregano is made from wild Mediterranean Oregano, picked by hand and naturally steam distilled. Oregano is "Full Spectrum Anti-biotic" and treats many conditions. Oil of Oregano, has been scientifically researched and proven to be one of the strongest and most effective broad spectrum antibiotics known to man. It is natural and safe to use. It will not create more mutant strains of bacteria. It effectively kills bacteria of every variety using only tiny amounts. It is also effective against fungus, parasites and viruses. It can be used externally and internally. There are no negative side effects. Recent laboratory studies have confirmed the powerful antibiotic, anti-fungal and anti-viral properties of wild oregano oil. Whether you are in perfect health or have any of the above listed health challenges. Oil of Oregano provides you with a defense against airborne and food-borne germs as well as infections from any source. Natural antibiotics like Oil of Oregano do not induce antibiotic resistance as do the patented antibiotic drugs. Use Oil of Oregano to boost your immune system and to kill off unfriendly bacteria. This natural remedy provides defense against biological toxins. Carry it with you whether it is to work or school or on a trip around the world. It is an invaluable travelling companion where food and water sources are suspect or in the event of an injury or infection. Hedd Wyn Essentials Wild Oil of Oregano is unique by being the only product of its kind to utilize a patented technology which increase bioavailability, absorption and compatibility. 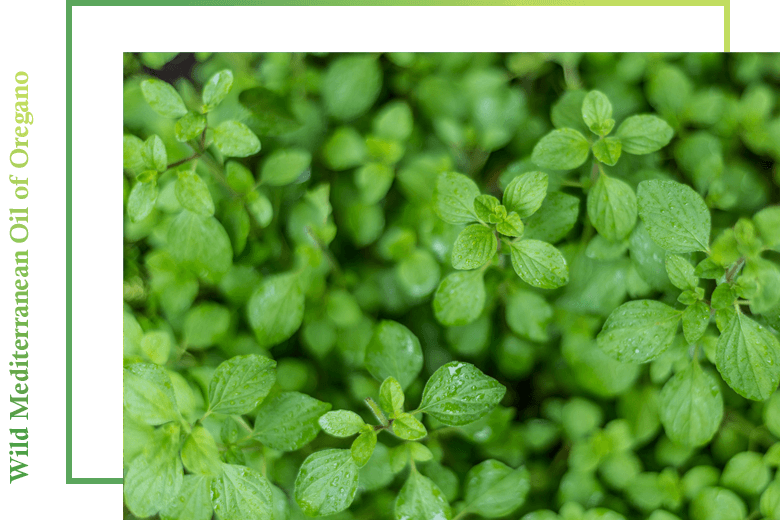 Dogs, birds, horses, chickens and other livestock benefit from both internal and external use of Oregano oil etc. Wild oregano has been used for centuries in the Mediterranean to help people maintain good health. Oil of Oregano will kill any kind of "germ". It could save your life. 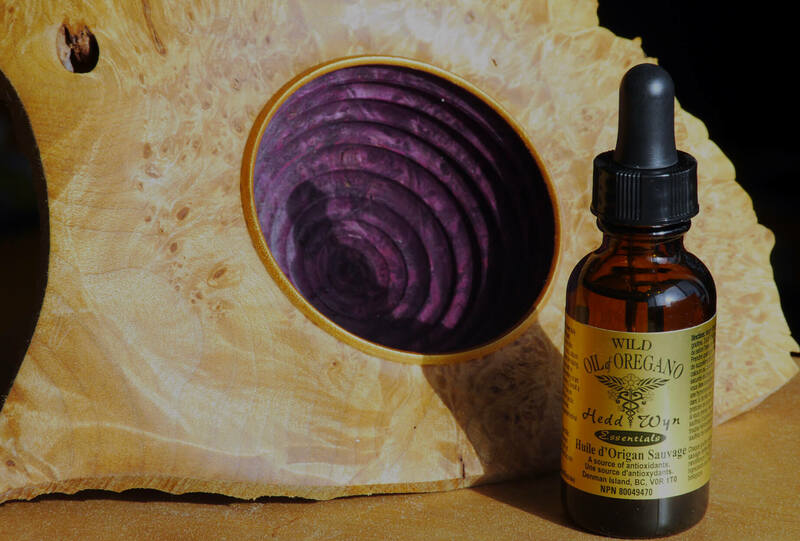 Hedd Wyn Essentials Wild Oil or Oregano is lab tested in accordance with the regulations from Health Canada to ensure that natural health products do not contain harmful amounts of infectious agents, chemicals or heavy metals. NPN# 80049470. Hello...I wanted to tell you that I have become a devote advocate of your product. A friend of mine told me about it so I decided to try it. After coming in contact and beginning the symptoms of a brutal head cold/sinus virus, I dosed myself with your Wild Oil of Oregano for a day and the next day the symptoms were gone. This was amazing to me as I thought for sure I was done in for the the cold/virus I had watched so many of my family deal with for almost 6 weeks! My family actually had a bet on that I would catch the cold because everyone else did...it was one of those voracious contagious ones. I think it also helped keep me healthy while traveling over the holidays as I avoided my typical "airplane" cold. On occasion I have given a drop or two a day in a glass of juice to my nine year old son and it seems to have kept him out of the cold season so far. I am grateful for discovering your product. I am glad I did not get a flu shot this year and now feel I have some added protection with your Wild Oil of Oregano. I am also glad you are a Canadian company. I recently had a outbreak of shingles on my side near the belt line. I applied the Wild Oil of Oregano directly to them a few times a day for about 4 to 5 days. They were healed and almost unnoticeable within a week. Shingles can normally take up to 21 days to heal. I work at a pharmacy; when my coworkers found out I had them they urged me to get to the doctor right away to get a prescription. They were in disbelief when I showed them they were almost gone a week later. I use this product for so many other things. It's great! Thank you very much, Audrey P., Lantzville , B.C. Hedd Wyn's Wild Oil of Oregano has helped me get past the flu virus and has given a big boost to my family's health. It helps me clean out my system. I'm a believer! One drop of Hedd Wyn Essentials Wild Oil of Oregano knocked out my chronic tonsilitis saving me from yet another round of antibiotics. Mylo P., Vancouver, B.C. The Wild Oil Of Oregano from Hedd Wyn Essentials that I have experienced taking has been, and still is, absolutely fabulous! This is the only product that has helped me with the candidiasis which has plagued me for over 20 years. After experimenting with many different remedies and a couple of other "Oil of Oregano" products which were not effective, I have found that Hedd Wyn's Wild Oil of Oregano is the "magic miracle" for me. p.s. It also works incredibly effectively for me (and others I have given it to) for colds, flus, congestion, coughs, etc Sheila L., Denman Island, B.C. The multiple uses to which your Wild Oil of Oregano can be put never ceases to amaze me. It was instrumental in clearing up my intestinal infection which I believe was parasitic in nature. I have seen it clear up skin blemishes, sores and bruises and promote general well being. I recently shared it with a student suffering from cold sores who now feels confident she can keep this under control. A friend of mine burnt her hand badly and I told her to put Oregano oil on it.and it immediately relieved the excruciating pain she was experiencing and the hand is healing beautifully. My cat loves the oil. If I put it on topically on a cut or bruise, she will lick it off. I thought the first time she did it, she had made a mistake but everytime I am wearing it she makes a beeline for me and licks it off. She never licks me like this when I am not "wearing it." A young mother I know developed congestion in her breast, causing her a great deal of pain. She applied one drop of the oil and rubbed it in gently on the breast where the pain was intense. The Wild Oil of Oregano relieved the pain and also relieved the congestion which had built up, allowing her to nurse in comfort. Another friend had incredible soreness in her mouth which also made the outside jaw tender to the touch. She applied the Oil a drop or two at a time inside her mouth for several days. She is now completely free of the pain and infection that was there. Voila! Another success with this amazing product. Thank you for making this wonderful product available. Rosemary B., North Vancouver, B.C. I have been using Hedd Wyn Essentials Wild Oil of Oregano for a couple of months now. I have only one question, "Is there anything that Oil of Oregano can't cure?" I have successfully treated asthma, eczema, sore throat, allergies, body aches, flu symptoms and it killed the bugs on my houseplants without damaging the plants. I have highly recommended your Oil of Oregano to all of my family and friends. Last Friday my husband came home from work with a horrid cold. He was shaking, constantly sneezing and blowing his nose and aching all over. He looked terrible. When my husband gets a cold he is in bed for 3 days in a coma state!! Two days prior I had purchased some of your Wild Oil of Oregano, after hearing about it on C-Fun radio. I immediately gave hime 3 drops under the tonque and another 3 drops before he went to bed. In the morning, I couldn't believe it--a miracle had occured!!! He was recovered with the exception of a bit of a runny nose, which was gone by the next day. Even he couldn't believe it. I have been telling everyone since and they are all running out to purchase some for their medicine chests. Thank you!! Carol S., Port Coquitlam, B.C. I have been using your Wild Oil of Oregano for about a year. I would not be without it. I feel I have better health since I have been using Oregano oil. I usually have colds during the winter...not a ONE since I have been on Oregano Oil. I feel I have more energy and feel much younger than my 70 years. But the real reason I am writing this testimony is....I recently came down with a fungus under my finger nails ....two nails on one hand and three on the other. After reading about Nail Fungus I became very concerned, so I trimmed my nails as far back as possible and up into where the fungus was nested. I then put Oregano Oil on the fungus area. I did this 5 or 6 times a day. I could see a big improvement the first day so I did it oftener the next day. To my surprise, at the end of the second day there was no sign of fungus. It is 8 days since I noticed no return of the fungus and my nails are growing back. I could not believe the fast results, thanks to Wild Oregano Oil. One other thing which was really important to me. I used to have this terrible Craving for chocolate...I could not go a day without eating at least one or two chocolate bars .Suddenly I realized I wasn't eating them at all anymore. I now have one once in awhile because I Want one...not because I Need one..thanks to Oregano Oil...Try Oregano Oil for Cravings!!! Joanell K., Vancouver, B.C. After an unsuccessful round of antibiotics for the treatment of Rocky Mountain Spotted Fever, my husband, (who had heard about oil of oregano on the radio) suggested I give it a try. I was scared to as I had been pretty sick thus far, and was afraid that not treating it more aggressively would cause permanent damage. But I agreed to try it just to see what would happen. Within a couple days I started to feel better, within a couple weeks, I felt much better, by the time I had completed a month on the oil I felt like my old self again! I could hardly believe it. I continued to take the oil for another month and went back for a retest on my blood. It came back ALL CLEAR! Talk about delighted. To be completely cured of this after no luck with antibiotics is wonderful. Plus, I did not have to suffer with any of those nasty side effects that come with antibiotics. I have also used it on my dog for a"hotspot", which cleared it up in a couple days.My husband has used it for sinus headaches,colds, etc. I gave it to my son for a bad cold and in 2 days he was better. I have even started brushing my teeth with it, and they sure feel alot cleaner, plus your breath smells incredibly nice, not fake minty. Each time I have ordered, everyone is incredibly pleasant, and if I had any questions they were answered carefully, and thoroughly. Excellent product, excellent service, You don't see that too often anymore! I will always make sure there is a bottle of Hedd Wyn Essentials, Oil of Oregano in my cupboard ! While living in Nanaimo, BC, I purchased the 25 ml bottle of Wild Oil of Oregano and enjoyed it so much that I immediately bought the 50 ml bottle. As a breast cancer survivor, I need to keep my immune system strong at all times and I take a half a dropper every night to keep cold and flu viruses at bay. I am allergic to sulpha, penacillin and all antibiotics - even prozac did not help my depression! Now I feel so good that sometimes I miss taking the oil and then I develop mouth canker sores and realize I need my Wild Oil of Oregano. At first the taste was very pungent and bitter. Then I read that the oil can be used on the soles of children's feet and I began to slather my feet with Wild Oil of Oregano and put socks on before bed. Now I enjoy the taste. I have also used the oil on my surgical scar, psorasis flareups and it helps control the growth of skin tags on my upper body. I keep finding many uses for this product and am happy to be supporting a local Canadian business who has developed a high quality product. Please accept my Thanks for your product. I was suffering the effects of bronchitis and developed a nasty cough, which lasted 3 weeks, despite bottles of cough syrup (well known and advertised brand). A friend happened to still hear me cough after all that time. She pulled me aside and said " I'm not a medical Dr., but have you heard of this Wild Oil of Oregano?" I had not, but do use the herb in cooking. Off to the Healthfood Store I went. I bought your product and have used it now for 2 days as suggested on the bottle. The cough has almost disappeared and I now only clear my throat from time to time. What a relief.. and the house has again become quiet too. My husband is sleeping better as well. Yours truly, Trudy H.
To date, Hedd Wyn Essential Oil of Oregano is the single most effective health aid our family has encountered. We have been using Hedd Wyn both externally and internally for over four years with consistently excellent results. Based upon our personal experiences Hedd Wyn is also an invaluable travel companion. We would recommend highly NOT leaving home without it. Under adverse conditions Oil of Oregano could very easily redeem your vacation, or, as the information literature states... "even your life." I will never be without this product. My granddaughter's dog had been bitten by a squirrel with quite a huge hole made in her leg. Applying the oil of oregano several times a day saved going to the vet and it healed well with no infection. Also use it on my brother's dog for bites she gets when she gets into a scrap with another dog. Again the wounds heal with no infection. I don't believe in antibiotics so am most happy there is something like this oil to use with no side affects. I read in a magazine about it a month ago, just before we went to Puerta Vallarta, Mexico & we have been to Mexico a couple of times before & always the day before we come home, we seem to get the runs, so I bought a bottle to see how it would work. I had some a couple of times when I started feeling not so great & I was fine. I actually came home a couple of pounds heavier showing nothing made me sick which was the best I'd ever felt...on our previous trip I got the runs the day before & dropped 8 pounds.My husband took it daily the whole trip, not a problem. The day before we were to come home, he got a burger that was uncooked in the middle & sure enough he was up all night with the runs. He took a dose first thing in the morning, he felt instantly better, & we will now carry it with us whereever we go!! It kills whatevers bad that gets working inside of you!! I am a 28 year old female and have suffered with Psoriasis for almost 10 years. At times my skin disorder would get so bad it would burn and bleed. I have spent thousands of dollars on creams and ointments. Seen dermatologists, and been treated with prescription medications to condition the skin disorder only putting it into temporary remission. To find out it would come back. Recently I tried something new. I tried Wild Oil of Oregano. Using 3 drops under the tongue, three times daily it cleared up my psoriasis almost 100%. I tried to lesson the usage and noticed I didn't get as good results, I also tried to take it orally but sublingually works faster and I've seen faster results. I have also used it for yeast infections and have noticed I haven't had one since! I love your oragano oil for the pain relief it gives my husband who has ostioarthritis in his back hips and knees. I applie it to my cold sores when I get one and it kills them dead. I also us it for pain. When my husband first started using it he had bad sinusitus it gave him relief with in 3 days of taking it. Last year I was perpetually ill. If it wasn't a cold, it was a cold sore. I was tired of being sick and feeling run down. I went to my local health food store who recommended your product to me. That has been my saving grace. Even though I was sceptical at first, I soon became a believer! Since I started taking this product, I have not been remotely sick and best of all, have been cold sore free for almost a year! This stuff is amazing. I love it so much that I recommend it to everyone I know. I cannot thank you enough! For the last 3 years I have been struggling with a bad case of cystic acne. I'm a 21 yr old male and I had a perfect complexion during my teen years. The symptoms were similar to mild acne but they evolved to be extremely large, painful and red. I had seen my family doctor several times about my problem. The first time he prescribed a topical cream and said it was just "an infection". It gradually came back a few months later, a bit worse than before. I went back to my doctor and he said to take antibiotics. After a 2 week period of antibiotics that messed up my digestive system, the acne had subsided. A few months later it returned worse again, even worse than before. I started having scars all over my nose and eyebrows, dark skin spots and raised scar tissue from the cysts. My self esteem was shot and my social life suffered. I didnt feel confident at work and talking to people in person. I avoided social gatherings. Then I went to a walk-in skin care clinic and they too prescribed the same antibiotics, since I mentioned that it worked. After this 2 week cycle again, it had not gone completely away. My worse fear had come true, the "infection" had mutated to be immune to pharmaceutical antibiotics. The "specialist" gave me a referral to a dermatologist because he said I had a hormonal imbalance causing bacterial infection of acne. I made the appointment right away, the earliest of which was 4 months away at the time. I could only imagine what my face would look like 4 months from now if I didnt find help. I searched the internet and Yellow Pages relentlessly but could not find help any earlier. So I went back to my family doctor and he prescribed the same antibiotics once again and said I needed to be on it for a period of 3 months! He also prescribed topical antibiotics. Over the course of the 3 months my cysts gradually went away. Once I was finished with the drugs, about 6 days later the cysts started to develop again. I was at the end of my rope. Because of taking so many antibiotics, I had to supplement with probiotics. While I was there I picked up a free health magazine at the grocery store and came across an ad for W.O.O.O. I checked this website and then went to a few different stores to do some competitive shopping. Hedd Wyn brand was the best deal (potency and quantity) and so my girlfriend ordered a 25ml bottle for me. We received the bottle of W.O.O.O. less than 5 days after ordering it. Immediately I put a drop on each cyst. It has a mild mint-oregano smell to it, and it tingled where the infections were. It tingled for about 2 hours and I knew it was working. Aside from temporary redness that went away 2 hours later, it was almost magical. The painful cysts were no longer painful to the touch only after 2 hours! I really could not believe something so inexpensive and natural could be so powerful. I used it again the same night and the next day the cysts had gone, leaving just dry skin for the time being. No more cyst, no more pain, no more infection! I really could not be happier about this product. After 3 years of pain and anguish I have found the solution. I have started to take it internally as suggested to stay healthy, since I was on antibiotics for so long (candida yeast overgrowth). I've tried countless products; antibiotic & antiseptic creams, tetracycline (antibiotic), skin care systems that contain benzoyl peroxide, sulfur, and salicylic acid with disappointing results. After hundreds of dollars in different medicine, hours of time wasted going to doctors and stressing about my appearance to the point where I didnt want to talk to even my family face to face, W.O.O.O. simply eradicated my 3 year war with serious acne. I am your newest loyal customer! Thank you Hedd Wyn Essentials!! Eddie L.
I almost completely lost my toenail to fungus. It was separated from my toe right down to the root. For 2 years I tried everything anyone told me would cure it: colidal silver,aloe vera, vicks vapo rub, Schults anti infection, hydrogen peroxide, some stinky stuff I don't even remember what that was, polysporin, lotrimin, monostat. You name it I tried without sucess. Then a wonderful person told me of oregano oil. I used it full strength on the toenail and diluted 1:4 olive oil under my tongue morning and night. Within 2 days I could feel that it was working because there was no pain. Within 3 months I regained a completely new, healthy, attatched toenail! It doesn't taste very good. I found I could chase it down with celtic salt water to clean out the strong taste. I am a 69 year-old guy. Over the past number of years I have suffered from persistent gum disease, resulting in the loss of bone supporting the teeth. Over the years I have consitently brushed my teeth after every meal, followed by anti-bacterial mouth-wash. I have flossed my teeth regularly each night and still the gum disease has persisted, resulting in the loss of one molar and two more candidates. Late this past winter I went on a regimen of taking Wild Oil of Oregano 3 drops 3 times a day under the tongue for 3 weeks. I have since backed off to two drops under the tongue at bed-time. My gums have never looked as good. I only wish that I had known of this 10 years ago! Five years would have still saved my tooth loss. I gave my dog a small quantity of Oil of Oregano to treat a urinary tract infection. I searched the internet to find a solution and hit on Oil of Oregano. It stopped his crying to go out in less than an hour. We finally got through the night without his crying(unlike the night before). It was a huge relief for him and my family. It also helped stopped my son from his coughing that he had developed. I had given him some Oil of Oregano a few months ago when he came down with a bad cold. It helped him get over it quickly. But, we had both sort of forgotten about it. Then the problem with the dog came up. So, I gave my son some too. It could have been a much different week for the dog and my son had it not been for the Oil of Oregano. We won't forget about it again! Last year I had been sick with a sinus infection for monthes. Not being a huge fan of antibiotics I was nervous about going to a doctor fearing they would just put me on drugs. Also I was unable to afford going to a homeopathic doctor. I tried to find other ways of curing my infection, with no luck. Eventually I gave in a went to a doctor as it had been over three months of suffering. Of course as soon as I told the doctor he put me on antibiotics, for two weeks. Nothing happened, the infection didn't get better at all. At the end of the two week cycle I was trying to decide if I should go back to the doctor as I know that leaving it and not continuing on could cause the bug to become stronger, my father came to me and said he had been at the health food store and they had told him about Wild Oil of Oregano. I went out and bought it right away. And less then a week later I could breath normally again! It was amazing and now I use it whenever I feel a cold or flu coming on. I also work with dogs and have contracted ringworm, which your product also cleared! Thank you! My daughter introduced me to Wild Oil of Oregano last summer. I began taking it on her advice, mainly for halitosis. I have been taking it twice a day since then. I get very bad hay fever early every spring - usually mid or late February through the spring. I mean running nose, stuffy head - just plain miserable. I need to take antihistimines on a daily basis. This year I have not had any symtoms. My wife went out and bought the antihistimines, but I have not needed them. The only thing I can put it down to is the oil of oregano. It is now almost mid-april and I am sans hay fever symtoms. My wife went on the internet to find out more about this oil and read that it is used to combat hay fever, etc. So, I thought I would give my testimonial. What other benefits I am reaping I have yet to discover, but this is a major. Oh yes, it does take care of halitosis also. I have been using Hedd Wyn Oil of Oregano for three years now. I have periodontal disease and my periodontist keeps asking me if I am taking any Antobotics because he can't believe the condition of my gums, and I don't remember the last time I had a cold. My husband & I moved to the Island in 1988. In 1990, I was gardening by my tame broom & got a bite on my shin. It had all the symptoms of a tick bite, but my Dr. said there weren't any on Vancouver Island, so no, it wasn't that. From that time on, my immune system became "depressed" (that's the only answer the Dr. could come up with)& my blood tests were all low & out of range. I was very tired & had to give up my clog dancing & even line dancing, as my head could not tell my feet what to do after 5 mins. I could hardly walk up our steps to the back yard, really frustrating! I had tests for everything we could think of, Lymes Disease, B12, iron deficiency - you name it! Nothing ever showed up, but my blood tests never changed much, all low. I started taking some Oil of Oregano in 2005, just a few drops under the tongue, usually flushed with water as pretty hot! I just tested my blood last month, & was so surprised to find I am all in range, mostly low, but in range!! I am so excited!! I have not had a cold or flu this year, & feel more energetic! I can only contribute this wonderfull news to the Oil of Oregano, as I have done nothing else different. I have arthritus of all kinds, since 1965, & Fibromyalgis diagnosed in 1985. I have tried living with the pain as I was told taking medication would only have made my immune system worse. I do take the odd Tylenol when really bad. I am an active person, & find that by being so, it really helps take your mind off the aches & pains. So Bless Oil of Oregano - it must be my saviour!!! I have suffered from acne since the age of 11 and am now 26. I was running out of hope in ever finding a solution and thought I was destined to have bad skin for life. I walked into a small health food shop here in Toronto and the sales assistant gently asked me about my skin and what I had been trying to heal it. At this point I had many spots on my face including a few large and embarassing cysts. I went through a list of things that I had tried including many prescription drugs, creams, lotions and antibiotics--all of which offered little relief and even seemed to make things worse. In addition to changes in diet, she suggested that I try oregano oil and so I purchased a small bottle of Hedd Wyn Oregano Oil. I went home and began taking it three times a day with three drops under my tongue each time. That night I mixed a drop in with my soap when I washed my face that night as the woman at the health shop had said that it would help with the bacteria on the skin which is a factor in causing acne. At bedtime I put a drop on each of my cysts. When I woke up the next morning I was amazed to see that the cysts had greatly reduced in size, were less red and not painful at all! I continued with this each night and by the end of 3 days the cysts were pretty much gone and the rest of my skin was glowing. This is like a miracle to me as I would often suffer with these cysts which would not go away for many weeks at a time. I have been continuing to use the oregano oil and my skin has not looked this great in years. Once a week I also put on a honey masque with one drop of oregano oil and this seems to keep my skin looking beautiful for the week. I just want to say thank-you so much because this has really given me my confidence back!I can now get up in the morning and look at myself in the mirror and actually be pleased with the condition of my skin rather than saddened by it. That means everything to me. I have now recommended the oil to a number of people including my mom who swears by it for colds and wouldn't think of trusting anything else, and also my boyfriend who has suffered constant infections in his gums and now uses the oregano oil in a mouth swish to stop the infections in their tracks! We love your oil! Thank-yoU so much!! I had a head cold with a runny nose, nasal congestion, etc. The works! I decided to take oil of oregano a bit differently this time and instead of putting a drop under my tongue, I put a drop in a bowl and poured hot water over it. I put a towel over my head and for about 10-15 minutes I inhaled the steam. Within less than 20 minutes both my nasal passages were open and I could breath in and out of them with ease. I was astonished at how fast it worked! Last week my husband was sick with flu and cold symptoms feeling stuffed up, bad headache and upset stomach. He was looking for something to take to make him feel better. I don't believe in taking anything that isn't natural, so he couldn't find conventional medicine anywhere in the house. He said., "We never have anything around here to take, that would make me feel better!" I happened to have a bottle of Hedd Wyn oil of oregano. I mixed up 3 drops in a glass of water he drank that, and then I rubbed some on the soles of his feet. He put socks on and it seemed within minutes he was feeling pretty good. He was able to get a good night sleep. He continued doing this for the next few days. Instead of being sick the normal week, he was feeling good within 3 or 4 days. This incident made a believer out of him. I would never be without oil of oregano in the house. It is an amazing product that never fails to do what it claims to do. I have been regularly taking Oil of Oregano for 5 years now. Hedd Wyn is the only brand I will use as it is the best tasting of all I have tried. For me, it is so effective for sore throats, colds, tooth aches and generally keeping my immune system energized. As a result, I never had to take a sick day off from work in over 3 years and I attribute that to Oil of Oregano! In fact, I had the office staff taking Oil of Oregano too. I must say it has improved my health over the years and I believe I am still healing. I have been very interested in boosting my immune system and was very intrigued when I saw an article on Oil of Oregano in a Health magazine. I have been taking it for 3 years now and am very pleased. I don't get colds or the flu anymore. If I am out and about near people with illness, I just wash my hands when I get home and take 3 drops with a tablespoon of applesauce. I was once a person that usually caught everything that was going around and even had relapses. So this is a big weight off my shoulders. I take it twice a day and feel great. As we get older and our bodies change, it is up to us to adjust accordingly. I have also tried rubbing a drop on a musquito bite and shortly thereafter no more itching. I had a small growth on my face by my lips. It was getting bigger and so when I read Oil of Oregano helped with warts I decided to try it. I put 1 drop of oregano in a little bit of water and rubbed it on the spot every night for only 4 nights. On the fifth day I noticed the growth had dried up and fell off. It worked great and I didn't have to go to my doctor to have it burnt off. Two years ago, I went to my doctor with chronic migraine symptoms and was diagnosed with hypertension. Apart from migraines, I'd never been sick, I was very active, I was 27 at the time and at 5 foot 7 inches, I weighed 120 pounds! Even my doctor was shocked. They ran a battery of tests and could find nothing wrong. The doctor was reluctant to put me on medication because I was so young. She suggested I change my eating habits and consume more foods rich in potassium, fibre and essential oils. So off I went, with my blood pressure even higher and my migraines even worse because of the constant worry. A few months ago, I was visiting a friend of mine who's a health nut and I had a migraine episode again. She went to her cupboard and took out a bottle of your oregano oil, and put three or four drops of the stuff under my tongue. I screamed at her because the taste was so strong, but within seconds the heat sensation subsided and, miraculously, so did the migraine! Needless to say, I immediately hunted down and secured a bottle for myself. I now take it religiously every day and encourage others to try it. Taking your oil has forced me to live a healthier lifestyle, because it forces me to drink more water and eat healthier meals to get the best effect from the oil. I cut down my sodium intake and use the oil to flavour my meals and soups instead. One or two drops go a long way. My husband is amazed that I haven't been sick or complained of any aches or pains for ages. Even my mother is shocked, I've been having chronic migraines since I was a child. Now, if I even do get migraine symptoms, instead of reaching for my headache pills, I plop a drop or two or the oil under my tongue, or mix a little bit of it into my skin cream and rub it on my temples. By the way, my blood pressure has dropped a whopping ten points in eight months, WITHOUT MEDICATION, and has remained stable! I'm proud to support Canadian businesses, thanks and keep up the good work! Anne V.
Thank you for your great product! My daughter is in her early 20's and has suffered from severe IBS (Irritable Bowel Syndrom) for years. The doctors have literally tried everything, but to no avail. This condition has been very disruptive to her life but she has always been a strong person, despite the disruption IBS has caused to her personal life. About a year ago, we were told 'Oil of Oregano' might help a bit. Within just a few short days of taking it (she had attacks almost daily! ), she experienced several pain-free days. Eventually, those days turned into weeks and months. It truly has been a miracle! As a matter of fact, she ran out a few days before the Easter long weekend and was unable to get to a bottle. By Monday morning, she was experiencing terrible IBS cramps. She went immediately and purchased your product and within an hour, the pain subsided and she felt great. Wild Oil of Oregano is something I would recommend to anyone young or old. I am also pleased that your product is organic (many are not) and Canadian! Keep up the great work. You've allowed my university-aged daughter to gain back a life free of pain and for that, I am truly thankful. Years ago, I was diagnosed with severe sleep apnea. I stopped breathing while I was sleeping every two minutes. It put huge strain on my body. It didn't help that I am also a bit overweight, asthmatic and allergic to my pet. I began to sleep 10 hours to get the 7 or 8 hours of sleep recommended by doctors. And I was still tired during the day. I even bought one of those expensive $1500 sleep apnea machines that harnesses to your face. I felt like I was in a bad episode of an alien movie. Well, as you could imagine, the mask only lasted a whole 2 days. But my friend had purchased some of your Wild Oil of Oregano and asked me to try it. A few drops under my tongue and I never had a better sleep. No loud snoring, no sleep apnea and I wasn't tired during the day anymore. I would recommend your oil in a heart beat. In a sense, I feel it has given back my life and put a bounce in my step. Thank you very much! I was so desperate to find a medication that would ease my 2yr old's eczema all over his body. He's been given all sorts of cream with steroids and lotions- all to no avail. Hedd Wyn's oil of oregano was recommended to me by a friend and it works wonders to my son's skin...my husband who is so careful and cautious when it comes to "natural products" was convinced when he witnessed our son sleeping well through the night...no scratching, no sleepless nights crying and scratching, and no more mittens, no more long sleeves! Hi, I have tried various brands of oil of oregano and I have to tell you that yours is the best. I have used your product to treat quite a few conditions and I have been amazed by the results. It has improved my sinus condition, gingivitis, headaches, muscle pains, coughs, sore throats, etc. I could go on and on...my list is endless!! The taste is definitely superior to other brands and it is also more effective. I have recently heard that oil of oregano will help to diminish scars if applied directly to the skin, so I am hoping that my scars will fade as I continue using your product. Thank you for making available this fantastic product that has helped me immensely as I continue on the journey towards good health. I was somewhat sceptical about wild oil of oregano whilst researching its uses on the internet. I changed my mind once I found the Hedd Wyn website and read some of the testimonials. I suffer from IBS and it can get really bad on occasions with not one week passing without symptoms of bloating and/or painful abdominal spasms. I decided to give it a try and ordered my first bottle. I started taking the oil of oregano immediately and after about two weeks my symptoms reduced. I have now had no symptoms for over one and a half months and counting. It is the longest period of time I have gone without any symptoms since the IBS started. I can't tell you exactly how the oil works but I know for sure that it has done something. I'm nearly finished on the first bottle and will no doubt order another from Hedd Wyn before it runs out. I was at my best friends house last year, and all of a sudden my glands started to swell, I knew what was happening....It was the dreaded Strep Throat coming. I have had chronic Strep Throat, and ear infections since I was young, for this I had been on ALOT of antibiotics. I had built a dangerous immunity to the antibiotics over the years, and so nothing worked anymore. I would just have to take the antibiotics and hope that they took some sort of effect, for some kind of relief. I knew that this was wrong, but I hadn't opened my eyes to naturopathic medicine at this time in my life. So, it is in this story that I will tell you the miracle of Wild Oil Of Oregano. My best friend says "Here, open your mouth and lift your tounge", so I did..."Wow that's an interesting taste!!" I exclaim. "It's Oil of Oregano.." my friend tells me, "it really works well, builds the immune system, and fights bacteria!" "Really??!!" I ask... "Do you take it like a vitamin??" She told me you do to boost your immune system, and you can use it topically too! I went straight to the health food store and bought HEDD WYN EESSENTIALS Wild Oil Of Oregano. I have been taking it daily for over a year now, and I haven't had ANY Strep Throat OR Ear Infections AT ALL!!!!! It has positively changed mine and my family's life, and I know now that my immune system is getting better and better all the time. I love this product, and I swear by it...I think it even makes my hair grow faster too!!! Thanks so much Hedd Wyn Essentials! My mother introduced me to oregano oil a couple of years ago. Since then, many people I talk to have used this amazing remedy. I just recently started using it on my son's warts which were not going away for months. In the last 4 days, they have shrunk significantly and I'm sure will be gone in the next week or two. For myself, I always use it for coughs and colds. Even my husband, who is very sceptical of alternative rememdies, now only uses Hedd Wyn Oil of Oregano for coughs and colds. I had the symptoms of a cold starting (sore throat, fatigue, some congestion)and had heard about Wild Oil of Oregano from a friend not too long ago. Being a massage therapist I can not afford to be ill. Unlike other people I am unable to work while I have a cold. No one appreciates being coughed or sneezed on when receiving (or giving for that matter)a massage. After one day of treatment I felt almost perfect, after the second day I felt 100 percent normal! The following experience confirmed, once again, that this product was something I need to have on hand at all times. I have Celiac Disease (must not consume wheat, barley, rye and oats)and when I eat something with gluten in it I often experience severe indigestion. This indigestion is so severe that the pain and discomfort is usually debilitaing for up 4 hours. I felt this indigestion coming on and was preparing myself mentally to try to work through the pain and discomfort when I remembered that Wild Oil of Oregano is good for indigestion. I figured that I had nothing to loose trying it and everything to gain. After just one drop under my tongue my indigestion was almost immediately gone!! This was amazing because any other product I have tried before this hardly ever helped relieve my indigestion from eating gluten; and certainly never gave me instantanious results. I was sitting on the sofa thinking that I would need to be patient for the pain to subside when I realized that the pain was already gone! I am so pleased that I tried this product and will not hesitate to utilize again. Thanks for making this product available. This product has proven to me to be a safe and fast working relief from the terrible cold sores I experience. My cold sores often form at those most inopportune times and hold me hostage to feeling insecure and embarassed at the unsightly bump on my lip. Using oil of oregano has been a saving grace! As soon as I get the tingle of a cold sore I apply a drop onto my lip. I apply it 3-4 times daily. My usual medication, prescribed from a general practitioner, worked over a 5-7 day timeline (so really the virus just runs it's course). With Oil of Oregano my last few cold sores have only been present for days, they have decreased in size and heal without any mark. Truly A great product! Last fall, while pregnant with our fifth child, I contracted the worst flu I have ever experienced. I was diagnosed with myocarditis and spent over a month fighting for every breath. Our unborn baby's heart rate was also severely elevated, and I developed a strong reaction to any kind of medication or chemicals. My cardiologist warned me that my enlarged heart might never be able to repair the damage done by the virus, and night after night of struggling for breath in the hospital emergency room had me wondering if I'd live to see my children grow up. A year earlier, my mother had told me about meeting a woman who had been bed-ridden with an unknown illness for several years but had been literally cured by taking Wild Oil of Oregano, and I remembered this during my own illness and decided to give it a try. Literally within minutes of my first dose (four drops in a teaspoon of honey), I could breathe clearly and without effort for the first time in weeks! A week later, my blood pressure and heart rate returned to normal, the baby's heart rate stabilized and I was able to make it through a night without sitting up in a chair in order to breathe. Since then, I have taken Wild Oil of Oregano as soon as I've felt the beginnings of a cold or virus, and it's been completely gone within just a few doses, and sometimes after only one. I'm not one to toss gratuitous praise around, but I swear, if I could only choose one item to keep in my family of seven's medicine cupboard, it would definitely be Wild Oil of Oregano! I had a urinary tract infection about a year ago and used an antibiotic to treat it. I really don’t like taking antibiotics but I was told it was the only way to get rid of it and leaving it untreated would seriously affect my health. I had another urinary tract infection a month ago but I decided not to take an antibiotic. I have always used something natural to treat any health problems I have had. I was sure that there was something natural out there that would kill my infection. So I did a search on the internet and found information on Wild Oil of Oregano. I got my self a bottle of Hedd Wyn Essentials Wild Oil of Oregano. I took 3 drops 3 times a day along with a lot of water and pure cranberry juice. Less than 2 days later my infection had cleared up (quicker than when I took the antibiotics). My sister has also had a few bladder infections and has recently gone to Europe for a year. She has always used antibiotics so I told her about how oil of oregano is a natural antibiotic and totally got rid of my urinary tract infection. I bought her a bottle to take with her over seas and a print out of all the other conditions it can treat. I feel much better knowing she has a bottle of oil of oregano with her, that wherever she is she will be well looked after. My grandpa just went into the hospital yesterday. The doctors think he might have pneumonia. I called my mom and asked her to bring him a bottle of Wild Oil of Oregano. I'm sure it will help. When I hear that someone isn’t feeling well I always recommend Oil of Oregano. I want everyone to know how great Oil of Oregano is, not just because it works so well but also because it works for so many different conditions. I think everyone should have a bottle, so for Christmas this year I am getting everyone I love a bottle of Wild Oil of Oregano. 10 years ago I was diagnosed and treated successfully for chronic myologenous leukemia (through the very destructive process of a bone marrow transplant). 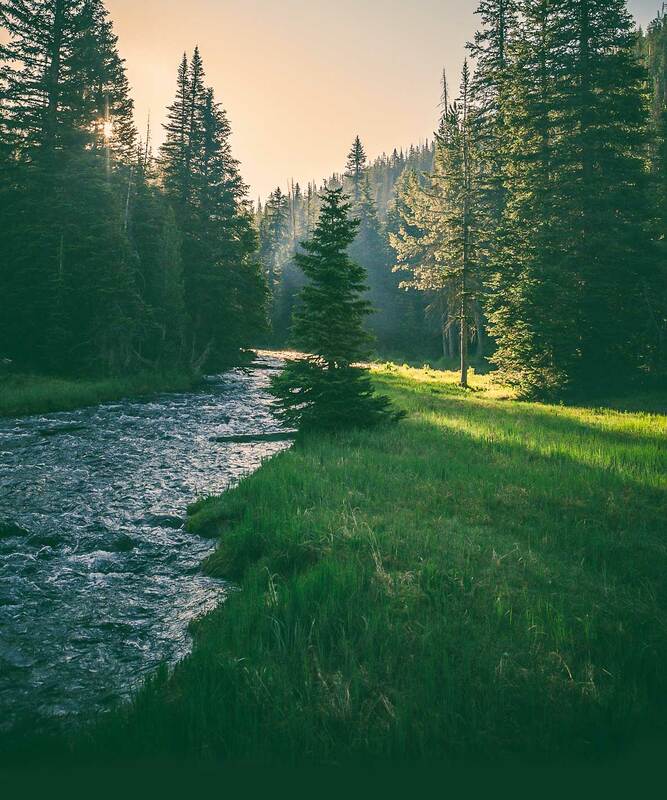 Although I am (happilly) in remission, the last decade has been difficult due to a plethora of long term side effects...high blood pressure, low energy, insomnia, succeptability to just about every viral, bacterial infections under the sun. The list goes on and on. Recently, a friend suggested oil of oregano to try on a strange rash that has appeared on my face every spring and fall for the last ten years. I have used cortisone, different essential oils topically, homeopathic tinctures (which i've used very successfully for other ailments) many herbal teas, fasts and food elimination, but nothing was working. This past fall, the rash began to spread all over my face outside of it's regular localized area. Within days of taking the Hedd Wyn Wild Oil of Oregano internally under the tongue, the rash just simply disappeared! My energy levels and what I've heard of as "brain fog" began to dissapate. My blood pressure has since began to normalize and I am sleeping more soundly than I have in a very long time. I don't know if I'm feeling better emotionally because of these clear ups or if the oil is having that affect too! Finally, I am beginning to feel like the young, 31 year old woman I am and not a chronically ill person with a comprimised immunity! I am happy to be alive and even more happy to be ACTIVELY alive! Many thanks, keep up the good work! I first started using this product five or six years ago after reading the little book by Cass Ingram, “The Cure is in the cupboard”. I confess to a degree of skepticism at first; how could one herb have so much efficacy over such a broad spectrum? Gradually, as I experienced its incredible healing power, it became the backbone of my home medicine kit. I am pushing 87 years and very fair skinned. As children, when summer came, we would compete to see who could stay in the sun the longest without burning. As a result, in my later years, I became a veritable walking skin cancer factory! A specialist subsequently told me that “the skin never forgets an insult!” I am a living testimonial to this advice and am now reaping the results of my childhood folly. Some time ago, a particularly nasty patch of squamous cell cancer developed on the inside of my right leg, just above the ankle. It was too large to simply excise and suture, and necessitated a graft which the surgeon took from my groin. I thus had two good sized wounds to look after. Each time the dressings were changed, I coated the area with Wild Oil of Oregano and was surprised how quickly they healed with no problems at all. However prior to the ankle area clearing up, another small cancer developed about ½ inch away from the larger patch. It could not be cut out because there was not enough skin in this area to have a suture hold. I thus decided to try to remove the tumour with Wild Oil of Oregano. In this I was completely successful. Subsequently I removed two more tumours from my left arm the same way. I found it was necessary to saturate the tumour with Wild Oil of Oregano and then keep it covered with a band aid or dressing. Last November while on holiday on Maui, I developed what I was positive was a squamous cell cancer just above the second knuckle on my right hand and immediately started treatment as before. However, I found that swimming twice a day and the resultant exposure to salt water and more sun never gave it a proper chance to heal, and by the time I returned home it was an open sore about 1/2” across. I took this one to my GP who did a biopsy. The result was positive for squamous cell skin cancer. He insisted that I see a surgeon who, after examining the hand, made an appointment for surgery at St. Joseph’s Hospital out patient clinic. While waiting I decided to try my Wild Oil of Oregano treatment and was completely successful. I then phoned the surgeon’s office to cancel my appointment for surgery. However, the receptionist was adamant, I must keep my appointment. This I did and showed the doctor my hand, he said, “No, it must be the other hand”. I showed him both hands and explained what I had done. “Come and see me in two weeks”, he said. I am currently treating another cancer on my right elbow, and although this is a difficult area to hold a dressing, it is healing very nicely. I find Wild Oil of Oregano a bit too strong to take straight, though I clean my teeth night and morning with the product (a few drops on my toothbrush) and have converted my dentist. In the event of colds, flu, Candida etc where fairly large amounts are indicated, I administer it via small gelatin capsules that hold about a full dropper. I think it would be most interesting to try this product on a patient with the avian flu. Certainly it could not hurt, as from my experience, used with common sense, there is no down side. Hedd Wyn Essentials is ideologically committed to providing its customers with the same superb quality its founder demands for his family. That is why Hedd Wyn was first to market with 100% certified organic ingredients in a wildcrafted Mediterranean Oregano oil. You can trust in the quality, efficacy and safety of Hedd Wyn's Wild Oil of Oregano.